"Seeing paintings means getting into the water, entering the original flood, gliding along the sparkling, golden light of the water’s surface, looking and reaching what the paintings in their appearance only promised us till now. The meaning of the paintings is recognised, once again in a painting, in an eternal of the bath." 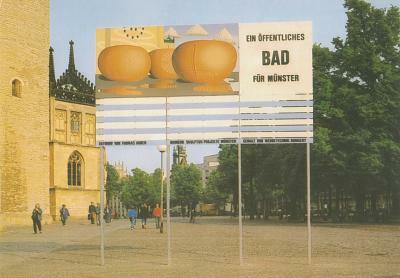 (A Public Bath for Münster), Galerie Philomene Magers (ed. 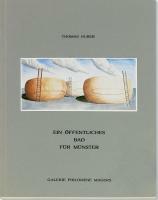 ), Bonn, 1987, 40 pages, 12 illustrations, format: 22.4 x 15.5 cm.